For stylist Alyssa Manning, Sola Salon Studios has provide her with a place to hone in on her niche while carving out her own passion-driven path in the beauty industry. During her first apprenticeship, Alyssa worked at a salon where her boss was a distributor for Balmain hair extensions. As a result, her early career involved direct, one-on-one training with extensions, giving her early exposure to this growing segment of the hair industry. "I got to work with hair extensions every day," Alyssa explains, "they were all around me in the salon and eventually working with extensions became second nature." As she learned more about the Balmain craft and their cutting edge application technology, she eventually set her sights on becoming an educator. In 2012, Alyssa traveled to Atlanta to participate in the Balmain training program where she learned the skills to be able to teach other stylists about the Balmain process, products and practice. After a year of traveling to salons in other cities, Alyssa was compelled to focus on her own image and identity within the industry. Armed with expertise in hair addition and a dedicated clientele, Alyssa moved her business to Sola in November of 2013 where she opened up Metric Hair Studio at Sola Salons Tulsa. "I was ready for more freedom, ready to be the owner of my own salon business, ready to discover myself and ready to define who I am in this industry," explained Alyssa on why she decided to move to Sola. 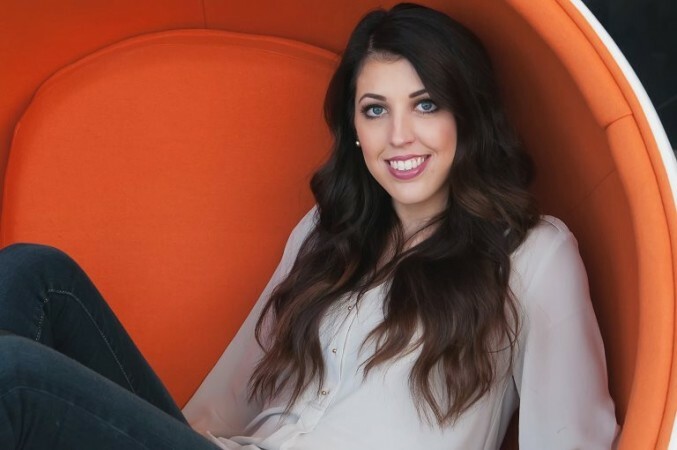 The past several months at Sola have been a time of professional growth and brand building for Alyssa who now describes the move as a highlight of her professional career. "I've absolutely loved every minute of my time at Sola" Alyssa confidently exclaimed. With such a strong background in education, Alyssa sees herself not only continuing to work as an educator, but also educating herself on best technical practices, connecting with influential stylists and keeping up with trends. She recently returned from a memorable first trip to America's Beauty Show in Chicago. On the show floor and in the workshops she was inspired by the texture, braid and pastel trends, which she plans to incorporate into her own services. "With extensions, you can give your clients on-trend texture, a peek of pastel color or the length for braided styles without long term damage to the hair." Sola has also provide Alyssa with the foundation to build a lifestyle and business that allows her to focus on her many skills and inspirations. She recently started a side project with another stylist at the same Sola location in which they do on-location bridal styling. "Because I'm free of the risks of running a traditional business, I truly get to do what I love, which can be different every day," explains Alyssa, "Instead of focusing on just one service, I now get to do all of the things that keep me inspired and freshed in the industry thanks to Sola." For more information about Alyssa, check out her website or Facebook page. Click here for more information about Sola Salon Studios Tulsa.